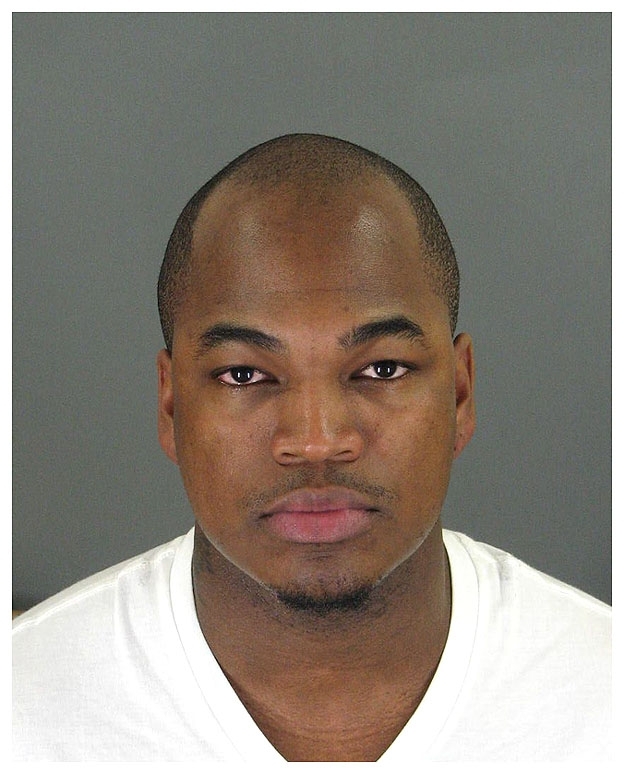 Ne-Yo (real name: Shaffer Smith) was arrested by Georgia cops in February 2008 and charged with reckless driving and driving without a license. The 28-year-old R&B singer was clocked by Cobb County police going over 100 mph in his 2006 Range Rover. Smith was then taken to the county lockup where he posed for the above mug shot before posting $1,300 bond and being released. Submitted by ltsump on Sun, 2011-06-05 19:24.